Trinaswitch uses Tigo’s module-level power electronics (MLPE’s) to add module-level rapid shutdown and monitoring functionality to standard Trina modules. Trina offers free real time monitoring and alerts so you know how every module in your system is performing at all times. You can quickly identify and pinpoint issues and make the best use of your O&M resources. 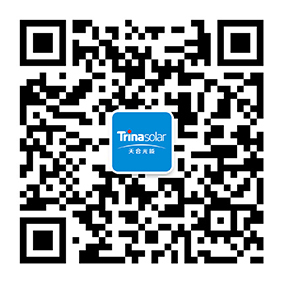 Trinaswitch offers module level rapid shutdown, automatically shutting down your PV System when AC power is disconnected. Trinaswitch also automatically shuts down modules in the case of overheating or overvoltage. Trinaswitch is the latest smart module solution from Trina Solar. Trinaswitch offers module level monitoring, and meets the 2017 NEC module level rapid shutdown requirements. Download your free copy of this infographic here. Compatible with most Trina Solar modules, Trinaswitch offers module level rapid shutdown and monitoring. Watch the video to learn the details of how you can benefit from this new technology. Trinaflex lets you selectively deploy Trinasmart modules in a string of Trinaswitch or standard Trina modules. You can choose exactly what functionality goes into each module at a fraction of the cost.